Spending a day at the beach in 1998 Fredrik af Klercker noticed how unusually stylish his best friend looked in his half cut shirt. Upon asking the question of where the shirt came from the answer wasn’t any particular brand, but that they were tailor made heirlooms from his late grandfather. The grandfather’s initials were J.B. A legend was born. 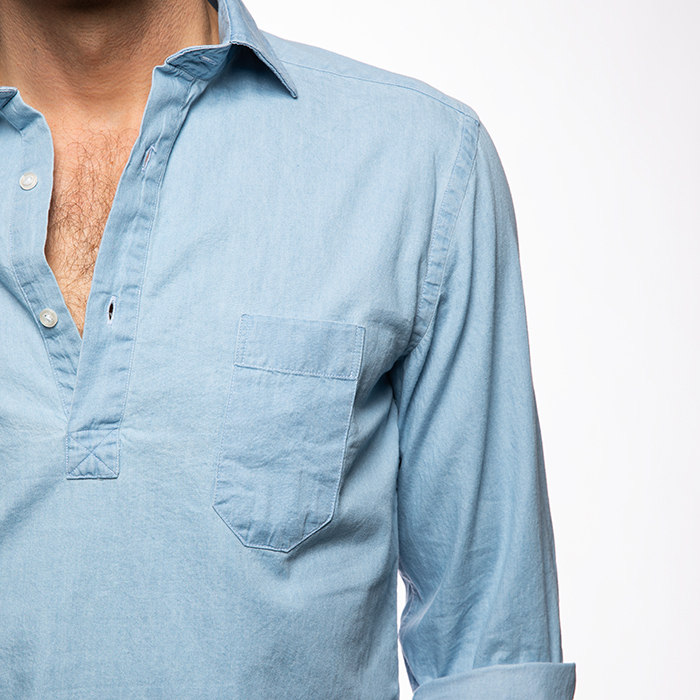 The signature detail of the JB shirt is the narrow breast pocket. Mr. J.B. was tired of always seeing his sunglasses drop into the ocean when he was mooring his boat at the portside, so he let his tailor design a narrower chest pocket that would hold the glasses in place as he leaned out to grab the line.